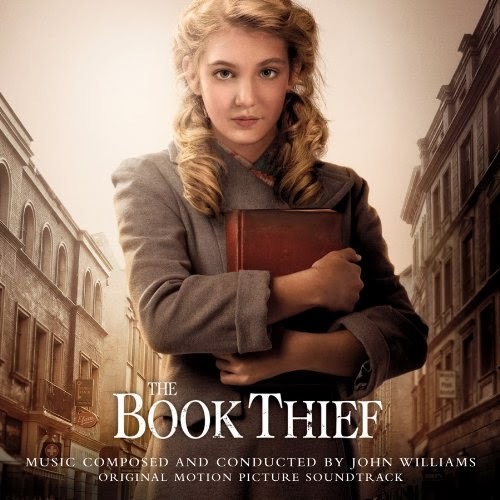 Sony Music is proud to announce the release of renowned composer John Williams’ original motion picture soundtrack of The Book Thief, a moving film by Brian Percival based on the best-selling novel of the same name by Markus Zusak. The Book Thief tells the inspirational story of a spirited and courageous young girl who transforms the lives of everyone around her when she is sent to live with a foster family in World War II Germany. The film stars Academy Award®-winner Geoffrey Rush (The King’s Speech), and Emily Watson (Breaking the Waves). The young Canadian Sophie Nélisse takes on the role of their adoptive daughter Liesel. The original score was written by composer John Williams, whose work includes some of the best-known film music of all time including all of the Star Wars and Indiana Jones films, the first three Harry Potter films, Jaws, Superman, E.T., Schindler’s List, Close Encounters of the Third Kind, Memoirs of a Geisha, Lincoln and Jurassic Park. He’s earned five Academy Awards, four Golden Globe® Awards, seven BAFTA Awards and an astonishing 21 Grammy Awards®. His total of 48 Academy Award® nominations to date makes him the Academy’s most-nominated living person, an achievement surpassed only by Walt Disney. In addition to music for the movies, Williams has written numerous concert works, and served as the Music Director of the Boston Pops Orchestra for fourteen seasons. The touching story of The Book Thief gave Williams a wonderful canvas for original music, and an opportunity to demonstrate his mastery of intimate orchestral composition, including many wonderful solo instrumental textures. The soundtrack opens with a plaintive and haunting solo piano passage in the track “One Small Fact”. The lyrical third track, New Parents and a New Home, again features piano with sweeping strings. Upbeat and lively pieces such as The Snow Fight and Foot Race add lightness and a playful exuberance to the score. For a key scene in the movie, the track Book Burning contributes dark, threatening, discordant notes, while Max and Liesel, underscoring the girl’s relationship with the young Jewish man her foster parents are hiding, has a tender, slow oboe melody. In Learning to Write Williams selected the cello for an introductory solo. Towards the end of the soundtrack, Max Lives is a joyful piece that releases tension, followed by a serene finale and a summing-up of the whole in the final track, The Book Thief. The subtlety of the compositions and Williams’ ability to conjure complex emotions are evident throughout this extraordinary score. Two recent film soundtrack releases by Williams, Lincoln and War Horse, produced strong sales on the Sony Classical label. The quality of the movie The Book Thief and of its superb, moving original score, leaves no doubt that this release, scheduled for November 20, will also find a wide and enthusiastic audience.